Literacy researchers interested in how specific sites of learning situate students and the ways they make sense of their worlds are asking new questions and thinking in new ways about how time and space operate as contextual dimensions in the learning lives of students, teachers, and families. These investigations inform questions related to history, identity, methodology, in-school and out-of school spaces, and local/global literacies. An engaging blend of methodological, theoretical, and empirical work featuring well-known researchers on the topic, this book provides a conceptual framework for extending existing conceptions of context and provides unique and ground-breaking examples of empirical research. "This important volume sets the grounds for reframing literacy education as a means for the institutional construction and reorganization of space and time.... [It] shows how place and time shape and influence, enable and constrain peoples' cultural practices with texts, whether in formal institutional or community and family settings." "What could have been lost is a phrase that is fitting for what [this] book does for the literacy community: it saves memories and preserves agency in elegant and eloquent ways.... 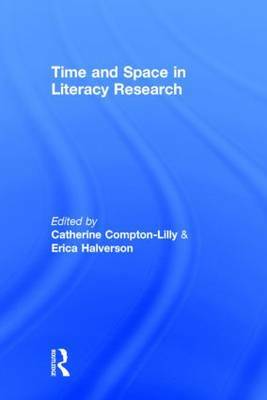 The front story of every chapter is to develop and enhance accounts of time and space in literacy research and the back-story is how we become and change as researchers across time and space. This is the story that intrigued me. Time and space, as they are seen in nuanced and inflected ways in the book, expose fundamental truths about life and learning...."